Police blocked the roads as the mixed crowd demanded respect from the authorities. The activists, both of Ethiopian descent and locals that showed up in support, carried signs that read: "Don't distinguish blood from blood, we are all humans." There were no reports of violence, police said. 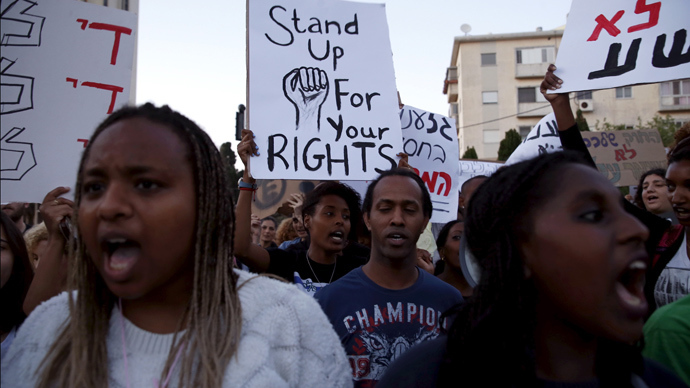 One of the organizers of the demonstration told Ynet news, that "after 30 years, the country should provide answers to the question of how it's possible that members of the community continue to suffer from discrimination and crime in the neighborhoods they live in." “Racism is a disease that affects many communities within Israeli society, and threatens us all,” he said, the Times of Israel reports.